The pictures below are of a Ceramic tiled floor covered in carpet glue at a house in the old Leicestershire village of Measham. 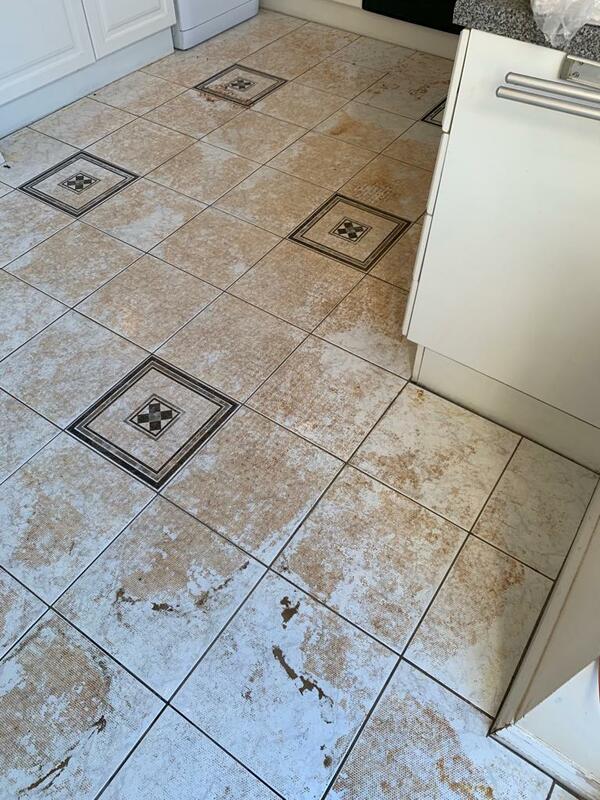 The owner of the property had contacted us for a solution after deciding to remove the carpet in the kitchen which had been down for around 15 years. 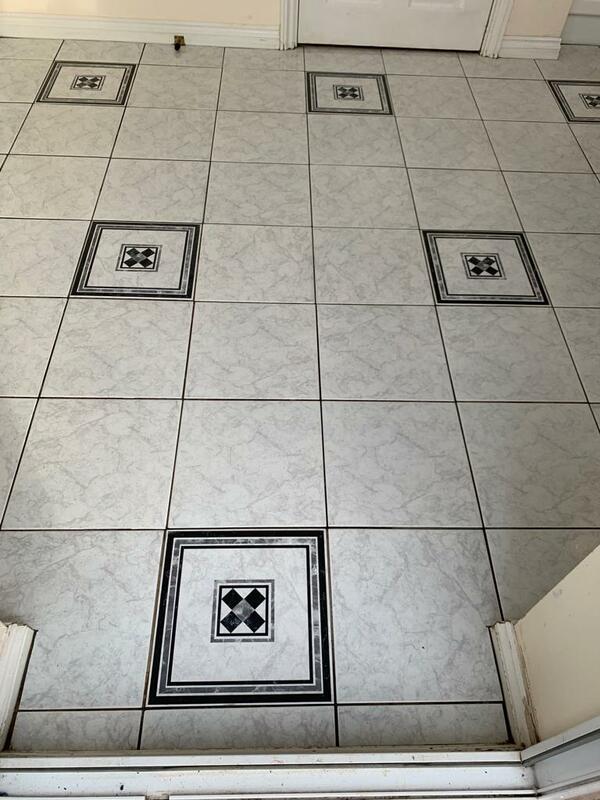 Ideally, he wanted to have the ceramic tiles restored to new, but this would depend on how well the glaze on the tiles had stood the test of time. 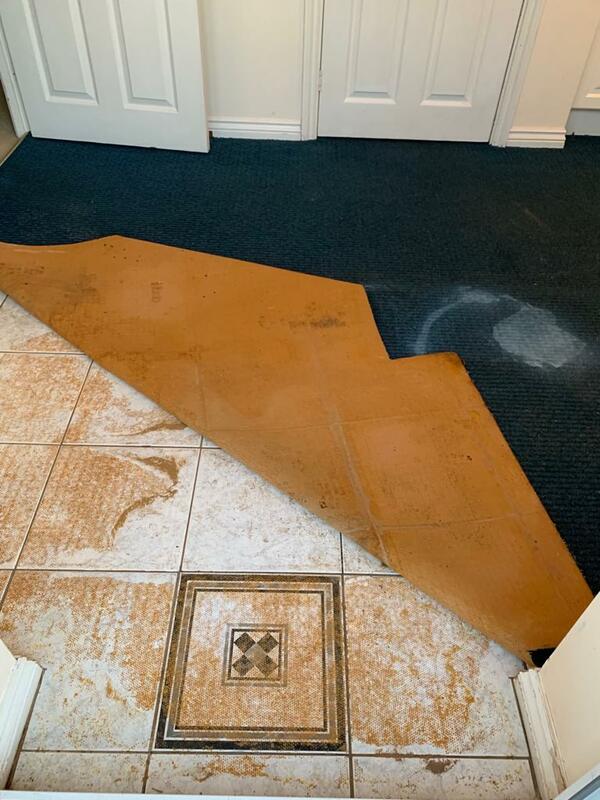 We called round to the property and could clearly see residue from the carpet adhesive used to secure the carpet had stained the tiles and contaminated the grouting. Before starting we removed the kitchen unit kickboards to protect them during cleaning. Next, we turned our attention to the floor and after fully removing the carpet could see that some of the adhesive had turned to powder, so our first step was to remove it by thoroughly vacuum the floor. We then reviewed the range of Tile Doctor cleaning products and problem solvers to determine which product would be the most effective at breaking down the residue. Our first thought was to use Remove & Go as it was developed as coatings remover and we have used it before to remove old worn sealers, paint as well as adhesive contamination. A strong application would be needed to remove the glue to it was applied neat to the tile and grout. I left it to dwell for about 20 minutes, so it could get to work breaking down the adhesive contaminates. This was followed by mechanical agitation with a rotary floor machine fitted with a poly scrub brush. 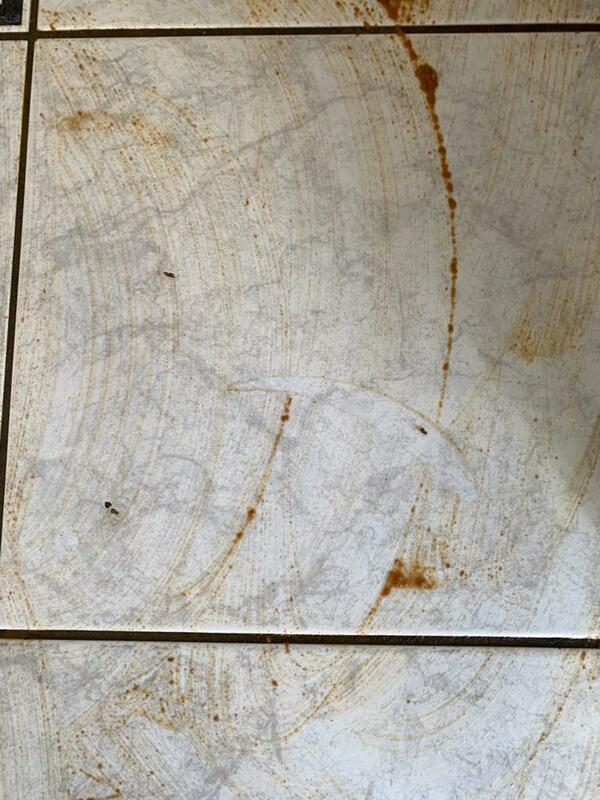 This quickly broke up the adhesive from the tile allowing it to be removed from the tile and grout with a wet vacuum. We then scrub cleaned the floor with Tile Doctor Grout Clean-Up which is a strong acidic product. It was diluted at 1:20 with water and scrubbed into the floor to ensure any remaining contaminants were removed and the pH of the floor lowered so that no sticky residues remained. The process went well and as you can see form the photographs the Ceramic tiles had stood up well to the adhesive and now look as though they were only just installed. The last step was to rinse the floor with fresh water which was then extracted with the wet vacuum and the floor force dried with air movers. 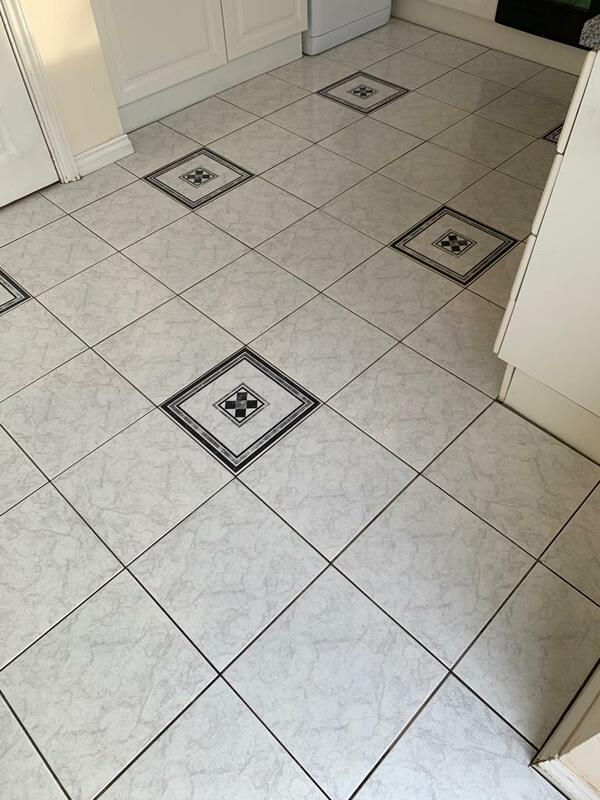 After reinstalling the kickboards, they floor was finished much to the delight of the owner.